Restaurants, Supermarkets, Schools, Nursing Homes, Florist Shops, Bakeries, Convenience Stores, Hospitals, Grocery Stores,Taverns, Meat Markets, Seafood Markets, Cold Storage Facilities, Country Clubs, Legions, Retail Stores, VFW'S, Manufacturing & Processing Plants. We work with each and every customer's needs, from the designing to the installation of new equipment, to the repair & maintenance of your existing equipment. 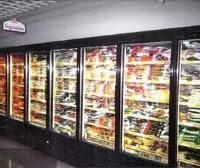 Contact us for any and all of your refrigeration needs at (315) 793-0513 for 7 Day A Week Prompt Personal Service or e-mail us at: service@ronbusheyrefrigeration.com, for more information about our refrigeration services offered, e-mail to: info@ronbusheyrefrigeration.com We look forward to hearing from you.